We were glad to welcome Father Lawrence back from his travels and to hear a bit about his experiences. Such a joy to have him back! Discussion of the book began by touching on some difficulties with its frequent mention of persons met, visited, and/or helped by Gerard, and those who were of help to him. Some members found this initially confusing, and one found it quite off-putting. We went on to consider who were the people Gerard was calling “schismatics”, and why he found them “much more difficult to move”. Talking about the dangers people faced, both personal and social, we could understand, to some extent, why people would change their religion based on the command of the king or queen. We also talked about the differences between that society, where religion was very important and indeed a way in which an individual might find his identity, and today’s society. From members talking about Gerard’s insistence on an exact and well-considered examination of conscience for those wanting to convert, Father Lawrence went on to talk about making a general confession, and in answer to some questions gave details about the circumstances in which a person might make a general confession. In choosing a book for July, we considered that perhaps we have had enough history for a while, and chose the autobiography “The Story of a Soul” by St. Therese of Lisieux. 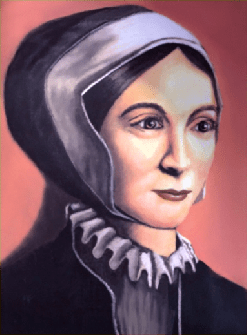 For those who have access to EWTN, that network will air an hour-long program on the life and death of St. Margaret Clitherow, who was executed in a particularly terrible way for hiding hunted Catholic priests during the reign of Elizabeth I. This should be very interesting as it relates to our reading of The Autobiography of a Hunted Priest. The program will be on May 23 at 11 a.m. and May 25 at 3 a.m. Pacific times. Click on the above link to see what Wikipedia has on this remarkable woman. This drawing of the saint is taken from Wikipedia. Above is the title of the book we focused on for our April meeting. Actually, we only discussed the first half, saving the second part for the May get-together. The book is quite fascinating, and is by John Gerard, S.J., a priest who ministered to Catholics in England during the reign of Elizabeth I from about 1588 – 1606. He was hunted, hidden in specially-constructed priest holes, arrested, imprisoned, tortured, escaped, and continued to work as a priest. As I understand it, he originally wrote of this period under the order of his superior, writing in Latin and intending the book only to be read by other Jesuits. In the early 1950’s, his writings were translated and published but went out of print, and this book was re-issued only last year by Ignatius Press. We began the meeting with a bit of historical background, considering Catholicism in the reigns of Henry VIII, his daughter Mary, and daughter Elizabeth I. We also talked a bit, based on our previous reading, of the ongoing attempts of the English Crown over the centuries to control the Catholic Church and to foster suspicion of Catholic loyalty to the Crown because of the religious authority of the Pope. As for our featured book, members spoke of being astonished by its contents and questioned why they had known nothing of these events. Father Tom was particularly moved by Gerard’s ability to debate, persuade, and convert so many people. We look forward to discussing the second half of the book at our May meeting. As I read the second part of The Autobiography of a Hunted Priest, I jotted down a few topics that seemed interesting to me, and on which I would like to hear others’ views. I’ll list them here. Was it because the times were so dangerous that Gerard was able to convert so many people? Were people generally more devout then? Gerard says the “schismatics” were “much more difficult to move than heretics”. Why do you think that was? Gerard advises people to make a “good and exact” examination of conscience, and often had them take several days over it. Does our practice differ today? If so, why? Any comments? Gerard tells of many people who influenced relations and friends to convert (of course, there were also many who could not). Would that be possible for us today? That’s all for now. I’ll let you know how our May meeting goes. My favorite movie is “A Man For All Seasons,” a film based on the Robert Bolt play of the same name. I first saw it when I was in high school, and I’ve watched it at least once a year every year since then. When I was teaching full time at the seminary, I would show it to my students, and on June 22nd, I would offer a screening to my fellow faculty members. That date, of course, is not accidental, for it is the feast day of the great St. Thomas More, with whose final years the movie deals. The drama of “A Man For All Seasons” turns around King Henry VIII’s attempt to secure a divorce from his first wife, Catharine of Aragon, who had been unable to produce for the King a male heir. Through the agency of Cardinal Wolsey his chancellor, Henry sought a dispensation from the Pope, but the Holy Father refused. Upon the death of Wolsey, the King made Thomas More, a man noted for his scholarship, diplomatic skill, and sanctity, his next chancellor, and he continued in his efforts to persuade the Pope. When he was met, once again, with a rebuff, Henry took matters into his own hands, breaking with Rome and declaring himself supreme head of a new English church, which promptly granted him the divorce he had so ardently sought. Thomas More had been extremely loyal to Henry VIII and solicitous for the good of the English government, but this was too much. Without explicitly providing a reason to explain his action, he simply resigned his office as chancellor. Some of the most affecting scenes in “A Man For All Seasons” have to do with the years following More’s resignation, when Henry tried, by various means, to frighten and cajole his former chancellor into supporting the new religious arrangement. Through it all, More (played by the magnificent Paul Scofield) held steady, even when he was stripped of his freedom, locked up in the Tower of London, and threatened with the rack. I couldn’t help but think of all of this when, last month, a shy German scholar, who is also the Bishop of Rome, entered that same Westminster Hall in the presence of the representatives of the British political and judicial establishment. After making a few opening remarks, Pope Benedict XVI invoked the name of the man who, five centuries before, had stood condemned in that very place: “In particular, I recall the figure of St. Thomas More, the great English scholar and statesman, who is admired by believers and non-believers alike for the integrity with which he followed his conscience…” How strange and wonderful are the ways of God! In Westminster Hall, More was a lone voice calling out in defense of the authority of the Pope; a half millennium later, the Pope came to the same place and vindicated the martyred saint. But I don’t mean this in a religiously jingoistic way, as if Benedict XVI had stripped the Archbishop of Canterbury of his power and reasserted Roman Catholic control over the Church of England. He did it by exercising his considerable moral authority. Before the prime minister and his government, in the presence of the four living former prime ministers, in the hearing of captains of industry and academics, Pope Benedict asserted that ethical principles, discerned through religious and philosophical forms of reasoning, must provide the basis for democratic deliberation and cannot be, themselves, the subject of that deliberation. He insisted—in his quiet way—that the bracketing or questioning of those moral absolutes leads any government on a short road to chaos. And this is why, the bishop of Rome went on, aggression toward religion—sadly apparent in the West today—is not only a violation of a basic human right, but also a threat to the integrity of the democratic experiment. Thomas More was condemned in Westminster Hall for defending the authority of the Pope. In that same place, a quietly authoritative bishop of Rome subtly rose to More’s defense. Sounds interesting, eh? 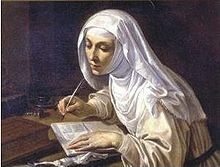 Catherine lived in the 14th century, a disastrous time for the Church, as the papacy had transferred to Avignon and many of the clergy as well as the papal court lived in corruption and scandal. 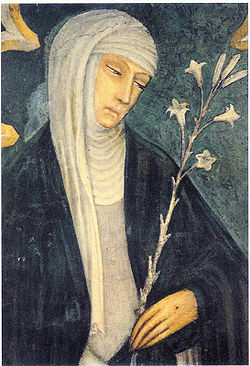 She was a mystic but also worked with great energy for the reform of the Church, and was eventually declared a Doctor of the Church. I’ve added this book to our Suggested Books page, thinking that when we’re ready to read another biography, this one might be a fascinating study. I discovered this interesting interview while reading the Ignatius Press blog. The original is from Zenit. Pearce gives us some insight into famous literary figures who were influenced by Blessed Newman, and credits him with being the father of the Catholic revival in England. ZENIT: Could you say something about your own reflections — as one who has spent significant time studying Newman — regarding the beatification ceremony? Pearce: As an admirer of Newman, as an Englishman, and, more to the point, as an English Catholic convert, I was simply overjoyed by his beatification. Newman is rightly considered to be the father of the Catholic revival and the seismic power of his conversion continues to reverberate throughout the English-speaking world. The number of converts who owe their conversion, under grace, to Newman, at least in part, are too numerous to mention. As such, a few will suffice to illustrate the point. Gerard Manley Hopkins, arguably the finest poet of the Victorian era, was received into the Church by Newman in 1866. Oscar Wilde fell under Newman’s spell as an undergraduate and continued to admire him throughout his life. 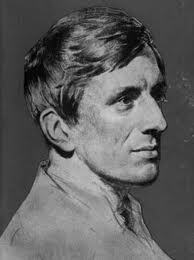 Wilde’s ultimate deathbed conversion, the culmination of a lifelong love affair with the Church, was due in part to the beguiling presence of Newman’s enduring influence. Hilaire Belloc and J.R.R. Tolkien both studied at the Birmingham Oratory School, which had been established by Newman, the former during Newman’s own lifetime and the latter in his ghostly shadow a few years after his death. In both cases, Newman’s role in their Christian formation contributed to the faithful fortitude that animated their lives as Catholic writers of the utmost importance. Others such as Graham Greene, Evelyn Waugh and Muriel Spark could be mentioned among the many others, documented in my book “Literary Converts” (Ignatius Press), who owed their conversion, at least in part, to Newman’s benign influence. Last, and indubitably least, I must mention that Newman’s beautiful and profound “Apologia pro Vita Sua” played a significant role in my own path to conversion.